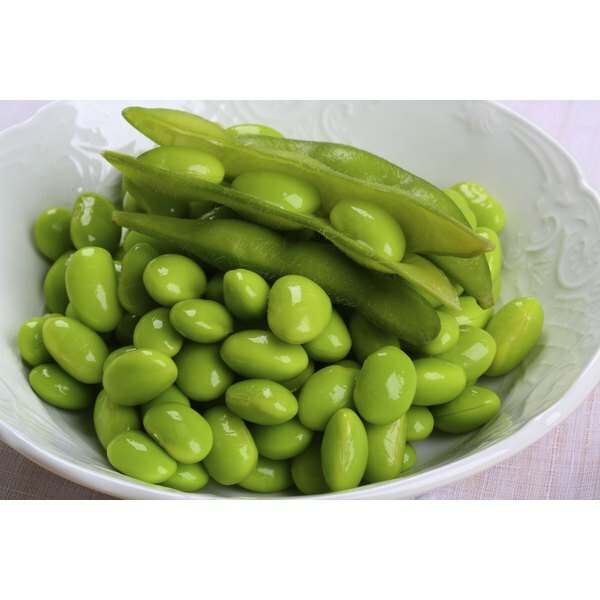 Edamame, immature soybeans, are high in protein and can be frozen in or out of the shell. Edamame are soybeans picked when they are still in a green, immature state. You can use them as a quick, nutritious snack, but they may not be available fresh year-round. Edamame can be frozen in the shell or removed and preserved as you would other shelled beans, such as lima, pinto or butter beans. Soybeans are high in protein, fiber, healthy fats, vitamins and soy isoflavones, a class of phytoestrogens. Soy offers the only vegetarian source of all nine essential amino acids. 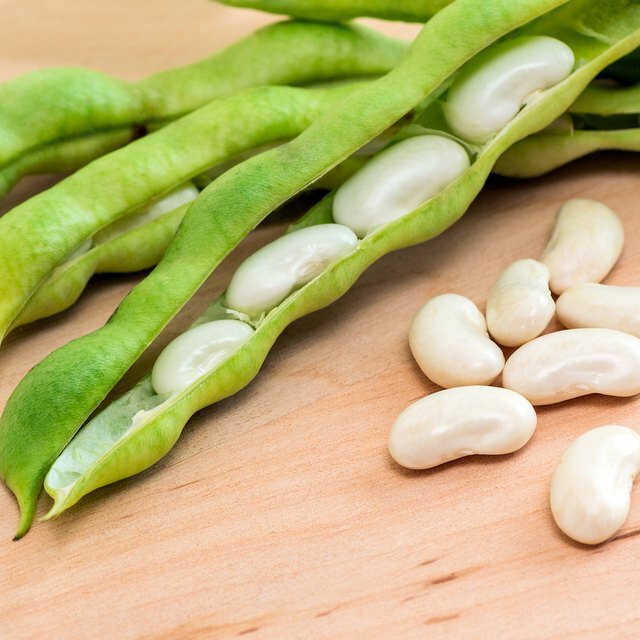 Phytoestrogens, such as soy isoflavones, can help balance levels of the hormone estrogen in the body, preventing the negative effects of high or low estrogen. Soy contains both omega-3 and omega-6 essential fatty acids, the balance of which is important for overall health. Shelled edamame also may be called mukimame when purchased in the store. You should select edamame for freezing that are fresh with three to four swollen beans in the pod. Discard any beans that are flat, wilted, discolored or have a foul smell. The husks may have scars from insect damage, although the beans inside may still be in fine condition. When preserving foods, it is best to use vegetables that are as fresh as possible, so check your local farmer's markets rather than the grocery. To limit bacteria and other microorganisms that may be present on the edamame, it is necessary to first blanch or parboil them before freezing. Wash and shell the edamame and sort them according to size. The size will determine the cooking time, so it is best to keep small and large beans separated. Bring water to a boil and cook the shelled beans for 2 minutes for small beans, 3 minutes for medium beans and 4 minutes for large beans. Cool the beans immediately in ice water and pack them into freezer bags. It is recommended to store frozen foods below 0 degrees F to prevent bacterial growth, the ultimate goal of food preservation. After edamame is blanched, packaged and sealed, freeze immediately. However, do not freeze more than 2 pounds per cubic foot of freezer space per day to prevent elevating freezer temperature and spoiling food. Spread packages out in the freezer so they will freeze as quickly as possible. Some freezers may have a designated rapid freeze shelf.